Deborah Burnham has lived in Philadelphia for about thirty years. She works as a lecturer in English and writing at the University of Pennsylvania. For many years, she taught poetry and chaired the Writing department at the Pennsylvania Governor’s School for the Arts. Her book, Anna and the Steel Mill, won the first book prize from Texas Tech University Press. Her new manuscript, Simplified to Blue, is in circulation. She lives in an old neighborhood in Philadelphia where she has developed several gardens. cluttered three floors with shouts and tears. and dark, no space for her reflection. half her mind had not slept for a month. the wall itself, its pocks and cracks, no sky, no dawn. 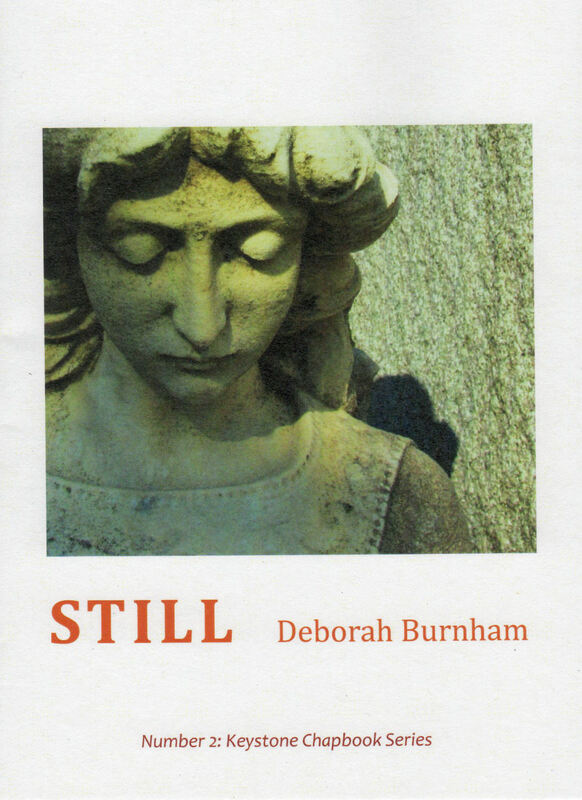 Please click here to purchase the new edition of Deb’s chapbook.